Two 3DS Virtual Console games plus new titles on WiiWare, DSiWare, Virtual Console and the eShop make another very strong week for the Nintendo Download in North America. Here's what's going live today. Kirby's Pinball Land (Game Boy, Nintendo, $3.99) — The little pink ball makes the most of his rotund figure in this pinball game. We'll see if it gets a high score in our upcoming review. 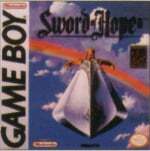 The Sword of Hope II (Game Boy, Kemco, $2.99) — Don't worry, you haven't missed a week — prequel The Sword of Hope isn't available on 3DS Virtual Console — but you'll pick up this RPG's story in no time: it's all about dragons, magic crystals and a submarine. Look for our review soon. Johnny Kung Fu (UFO Interactive, $5.99) — UFO doesn't have the best track record in the eShop but we're optimistic this retro-styled beat 'em up will rise above the rest: it has a Game & Watch-styled stage after all. Review coming soon. Sweet Memories Blackjack (CIRCLE Entertainment, $3.99) — A blend of romance and blackjack, this one left us with no good memories; read our Sweet Memories Blackjack review for the full scoop. 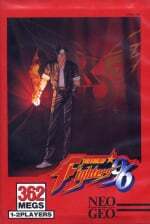 The King of Fighters '96 (Neo Geo, D4 Publisher, 900pts) — One of the best instalments in SNK's legendary fighting series, this game introduced new characters, moves and features like mid-air blocking. Look for our review very soon. Frogger: Hyper Arcade Edition (Konami, 700pts) — Costing 300 Points less than in Europe, North Americans get a good deal this week, but is the game itself actually worth a punt? That's a question our intrepid reviewer will look to answer very soon. Mighty Switch Force! (only $2.99 from 9am PT 13th July to 9pm PT 15th July) — Another good offer in the eShop this week, grab WayForward's action puzzle game for half its usual price, including the recent extra content that added five new stages. Read our Mighty Switch Force! review for more. Ace Mathician (CIRCLE Entertainment, 200pts) — Developed by Flipper dev Goodbye Galaxy Games, this is a platform puzzle title about maths. Come back! It might be good. We'll run some calculations and come up with a score for you in the very near future. Candle Route (Teyon, 200pts) — A quirky puzzle game from Cat Frenzy studio FUN UNIT, this is all about guiding candles with touch screen taps. Check out the trailer as you wait for our illuminating review. What will you buy from this grab bag of digital delights this week? Let us know in our Facebook poll. Yeah! 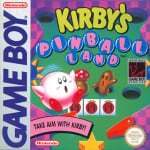 Kirby's Pinball Land! Mighty Switch Force! only $2.99.... Instant Buy! YES!! Now I can finally get the King of Fighters game from My year! I would love it if Pokemon Pinball was available on the eShop. Enjoy your last time of whiny people here, @James. I don't think there will be any whining. Kirby pinball is epic because of the advertisement. I had no plan to purchase Mighty Switch Force because of other games coming out this year, but at 3 dollars I just can't pass it up. I'll be picking up Kirby and I'm keeping my eye on Sword of Hope 2. That's funny they filled in the KOF gap! Anyway another great week of content. I was literally about to purchase Mighty Switch Force yesterday the moment I found some good wi-fi. Good thing I waited. Fine Wayforward! I'll get Mighty Switch Force. Ah man, starting to get jealous here. Those weekend game sales are awesome. Any chance that something similar could happen in Europe? @Yasume We had two-week sale for the eShop's anniversary but that looks like it. Shame, I'd love to get MSF! for £3! Also a correction (@nibelilt ought to like this): Kirby's Pinball Land is $3.99, not $2.99 as first stated. Apologies for the error. Johnny Kung Foo looks nice, I think I'll buy that. Seriously, anybody that doesn't buy Mighty Switch Force for $2.99 might need to have their skull checked to make sure their brain hasn't left for a vacation. Kirby and Johnny Kung Fu is what I'll be getting. Maybe Mighty Switch Force, not sure. I wish they would of had a demo though like for NSMB 2 or some other game that is coming out soon. @James - Do you leave today or tomorrow? I really hope things go well for you at Nintendo! ...and I will be getting Mighty Switch Force this week. I'm liking the sales. That Kirby Pinball was always fun, too bad i can only beat it with cheat codes..
Wow! Anyone who doesn't have mighty switch force needs to pick it up now! It's a really terrific game. For under 3 bucks, it's down right awesome! @Anyone should i buy mighty switch force or wait for next weeks sale??? @nintensage Tomorrow is my last day. Getting Johnny Kung Fu, Kirby's Pinball Land and Sword of Hope 2. I will never get any of the Mighty series but I'll get Pinball Land! I'm surprised at the 50% off MSF deal. I never thought Nintendo would go that low after all their "value of games" talks. Better for us, I guess. @ metafaniel I'd argue that. I hated MSF. Shantae was incredible, though. I'm definitely picking up Sword of Hope II. Maybe Candle Route too because I liked Cat Frenzy. Maybe. @Flowerlark I didn't hated MSF,it was good but suuuUUuuuper short: I ended it completely even with the time mode challegnges in a few hours counting the extra levels. Tooooo easy but entertaining. I think I might get Mighty Switch Force, maybe. Where's the new demo this week? I was hoping for the Theatrhythm Final Fantasy demo. $2.99 for MSF is too cheap for anyone NOT to buy it. Any of you who have the money but not the game should buy it or you'll die inside. At least I have everything in one system, even if it's not the same as having the original system. Be able to play it without much difficulty to carry everything or plug different things in. Well the Wii too. Consoles on there and Handhelds on the 3DS. I will not buy Console games on the 3DS VC. This tuesday i added money to my eshop. I bought the Maverl Pinball (which is amazing!) and held the rest of my money to see if there was gonna be something good this week. My decision was right! MSF for 3 dollars!?!? Insta-buy! DO NOT PASS UP MIGHTY SWITCH FORCE FOR $3! It's just a really good game ... And it's even been upgraded since it's initial release. That's the best deal so far... And the only weekend-sale EShop game so far that I won't be purchasing. These sales are so sweet. think I got enough for kirby pinball (3.99 or less games)so I guess I will get that. Whoa, Sword of Hope II is actually just $3? Definite buy when I get my eShop Card this week. Out of all the games Konami could still release and they choose Frogger? Even though I really don't have time to play Mighty Switch Force! right now (which is the only reason why I don't have it already), the sale is as good an excuse as any to buy it. I'm getting a review code for Ace Mathician (! ), and I'll probably be picking up Kirby myself. Good week. Finally '96 is on there. I'll grab it when I have some cash. Good thing I just put some money into my account, I'm gonna need that cash for MSF. New DLC for theatrhythm final fantasy. and a battle song from FFXII. Wow! I'll have to check out both 3DS VCs, the eShop sale game(MSF), & Candle Route sounds interesting. I'm glad that I have been smart/keen enough to keep up my pattern of:1. Not always buying/purchasing something every Thursday, waiting to see what may come in the next few Thursdays, & thus storing up my eShop funds for something good, &2. Not purchasing games I already own in another(particularly cartridge) form. Also, while I'm on that subject, I personally don't like the resulting graphics in the 3DS Nes VCs. The scale-down does no good for Nes titles. Well, yeah actually, since the Nes was a home console, rather than a handheld, the screen wasn't made to be scaled down. Lastly, one final time Congrats @James! Enjoy NoE! God speed, Mr. Newton! So, @Damien will be posting the weekly d/ls from now on? Coolness. Haha - NA's weekly updates are starting to make ours look terrible. Sparkle Snapshots! Yay...? 3dollars mighty switch force ? bring it here ! i did well waiting this long ! If Nintendo keeps sales up like this the eshop will finally be the online store I have been wanting. I am definitely getting MSF this weekend. Alright, I'm gonna be the negative voice of reason here, not about this update, but about the first update in August. Who wants to bet that as soon as our "8-Bit Summer" is over, we go back to getting bupkis on Virtual Console? the second batch of theatrhythm final fantasy songs are out now too btw. four new ones. @grumblebuzzz bupkis meaning nothing? I'm fine with them going back to one game a week if they keep the pace going. I was just in the (e)Shop now, & MSF was still 5$. It's 1:26pm EDST. Maybe it'll update later...Edit: Forgot, it's a weekend sale. That updates on Friday. All sales start on Friday and end on Sunday. well I only got enough money for sword of hope 2 or those dsi wares,how sad. Oh look, those are some great - ...what? Steam Summer Sale? Uh, yeah Nintendo, might want to put a few more things on sale, you're being outdone. Should've put Dreamland 2 on there. Man, that's an awesome download this week. 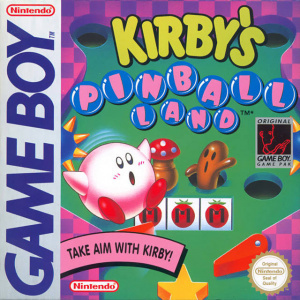 I never did give Kirby's Pinball Land a try back in the day but I know it was gaming gold, so I may give it a shot. I'm waiting to hear more about Sword of Hope II but I'm interested at least. I still haven't picked up Mighty Switch Force and may have to just because now (still haven't picked up the previous Mighty games). And lastly, I continue to be a Frogger advocate, so between original arcade and current day, Frogger hasn't aged too well. If the screenshots are for Frogger:HA are any indication, it seems that it will actually be a true-to-form style of Frogger both retro and new... since I can't seem to get what I want in the the original arcade being released, I hope this will succeed. To bad I already own Mighty Switch Force because that game's a steal @ $3. Already own Mighty Switch Force, not interested in Sweet Memories or Johnny Kung Fu ( I read a review, it's what UFO does best, making bad games). Don't want either DSiWare games or King of Fighters. Might get Kirby and Frogger in the future. Already got MSF! It's an awesome game, and there's no excuse not to get it now. Johnny Kung Fu appears to be a dud (NWR gave it a 4.5/10), but I'll wait for other reviews. I'll be keeping my eye on Sword of Hope II. I was going to wait out on Mighty Switch Force until it came to Wii U, but yeah, that's a great price. @WarioFan63 I would be okay with one game a week but before this, we got like one a month. @Miss_Birdo Thanks anyway, but I just caught myself off guard, & It didn't hit me until now: weekend sale. Again, thanks anyway! Big week. I'm all over that Mighty Switch Force sale! I downloaded The Sword of Hope II. Waiting on tomorrow to get Mighty Switch Force! Great week, Nintendo Download! Now, do it again next week. Only thing I'm interested in is Ace Mathician. I got MSF full-price, and I'm honestly not mad at all about that. Worth the 6 bucks even if it was short (when only 16 levels were there). $3 means there's no reason to not buy. Impressive I'll give em that. Pretty good week, a VC game, a good WiiWare game, a potentially good 3DSWare game in Johnny Kung Fu and if anybody here doesn't already have Mighty Switch Force you might want to jump on that now, at $2.99 it's an absolute steal. Good week for you guys! Definitely going to be picking up mighty switch force. Talk about a sweet deal. Ace Mathician was fun, but it was way too short. I finished the entire game and all of the "extras" in an hour and fifteen minutes. It was a good concept, but it needs about ten times the content. GO MATH! Which one should I get; Kirby's Pinball Land or Mighty Switch Force? @Janett Mighty Switch Force, easily. I'm not sure in terms of quality, but always go for the time-limited one. With no money for the likes of Heroes of Ruin, I've been wanting a Game Boy RPG. Until Final Fantasy Legend and FF Adventure (AKA SaGa & Mana respectively) are available, I'm taking a chance on Sword of Hope II. SoH II, which now joins Contra in the "why the BLEEP didn't they release the original on VC first" department. I can FINALLY afford MSF. I will be buying! For the last time Otaku, Nintendo doesn't like you. A word of advice: wait for reviews on Johnny Kung Fu. At least wait for mine. Kinda weird that KOF 97 came out before 96 on VC. Whatever, nice to have another Neo Geo game. I heard this was the BEST of the new Frogger games. It even has Castlevania inspired levels and some other popular Konami franchise. You should look out for it. It got a good recommendation from Nintendo Power and they're somewhat picky when it comes to that it seems. I bought the Frogger game and I think it's fun. You have to unlock the Castlevania skin by completing challenge levels. You have to enter a code to unlock the Contra skin (don't know how you get the code yet). If it's not up up down down left right left right B A start, I'll question whether or not Konami actually made the game. Oh, geez. Yup, that's it. Thanks, @FluttershyGuy. I've got a couple of bucks on my account. I think I'll pick up Mighty Switch Force. From what I've heard, I'd be a fool not to get it at that price. Get Mighty Switch Force, it's a fun game. These downloads are getting pretty amazing. If NightSky comes out in July... holy s***. So I ended up getting both Sword of Hope II and Candle Route. I haven't played the latter yet, but SoH II is really fun. My only gripe is the slowness of the battles. So Weekend sale is now called Game of the Weekend? Anyway, why can't we Europeans have that too?! And why was this never big news?! Yeah but if Nintendo continues those weekend sales for a looong time, then you Americans win!